Thomas M. Valentine Jr. | Forward Financial Services, Inc.
Tom brings a wealth of knowledge and experience in helping his clients plan for a secure financial future. He began his career in the insurance and financial services industry in 2007 after having a successful career in the banking and mortgage business. In 2013 Tom fulfilled a lifetime dream to own his own business and launched Forward Financial Services, Inc. Tom takes pride in guiding his clients through a unique educational approach to investment planning, in which he believes in providing his clients with liquidity, use and control of their hard-earned money. Tom was born in Worcester and is a life-time resident in the Worcester area. In 2001 Tom graduated from Franklin Pierce University with a Bachelor’s Degree in Financial Management. Tom has a passion for community involvement and is well known for his support to many local charities and organizations. He is the founder of the NET group in Worcester which is heavily involved with the͞ "Why Me/Sherry’s House" organization and runs their Texas Holdem’ event every spring. 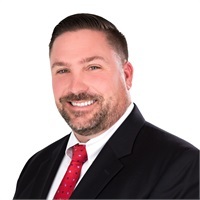 He is an active member of the Wachusett Chamber of Commerce, is on the Board of Directors for the Rotary Club of Worcester and is a huge supporter of local sports teams in the area as a sponsor and coach. Qualifying member of the prestigious Court of the Table*. Achieving membership in MDRT is a career milestone attained only by those who have demonstrated exceptional professional knowledge, client services and ethical conduct. Member of the National Association of Insurance and Financial Advisors (NAIFA) since 2007. Featured in Worcester Business Journals Business Profiles Edition 2015 & 2016. Ohio Nationals "Wall of Fame" - 2013 -present and Council of Honor 2015 - present. Jackson Nationals "Star Club Member" 2014 - present. Past Board Member - Why Me Organization 2009 - 2012. Active member of the Worcester & Wachusett Chamber of Commerce. Committee Chair for "The Net" Texas Hold’em tournament to benefit the Why Me Organization 2009 - present. Worcester Rotary Club Member since 2015. Worcester Rotary Club Board of Directors 2016-2017. Director and coach for Holden T-Ball league. Tom lives in Holden with his wife Jill and his two children, Isabella and Brayden and their dog Tek. Please note that in order to get the most out of your appointment with Tom, we avoid booking appointments the morning after a major Boston sports team game or event as he is a big fan of our New England sports teams. Registered Representative, securities offered through Cambridge Investment Research, Inc., a Broker/Dealer, member FINRA & SIPC. Advisory Services offered through Cambridge Investment Research Advisors, Inc., a Registered Investment Advisor. Forward Financial Services and Cambridge are not affiliated. This communication is strictly intended for individuals residing in the states of CT, FL, MA, NH, PA. No offers may be made or accepted from any resident outside the specific state(s) referenced. Cambridge does not offer tax or legal advice.